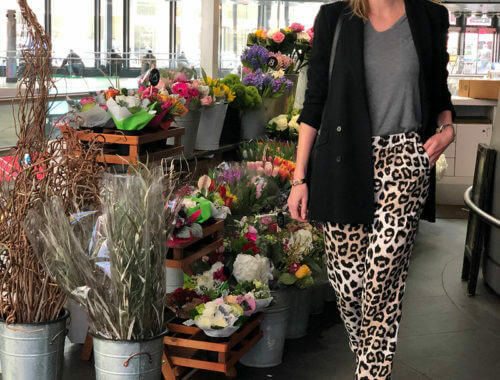 So far, 2019 has been all about the neutral tones; camel, cream, tan and of course, my favorite neutral toned pattern…leopard. I love mixing and matching a variety of fabrics and textures. This super soft oversized cable knit sweater is the perfect compliment to this sleek animal print skirt! When I saw this skirt online, it was styled out with a black body suit and looked ideal for a night out on the town. Although I loved the look, I wanted to style out this skirt so it would have more of a friendly everyday vibe. Mission accomplished! Pairing a skirt with an oversized (and untucked) sweater with a relaxed suede boot did the trick. It may be cold outside but that doesn’t mean you have to dress like the abominable snowman everyday haha! Keep it feminine and sleek while staying warm in this perfect mid-week outfit. It’s the perfect pick me up!